Dr Jengo's World: I kill all! See that? Jengo kills all!! Haha ok I am kidding, I just had a damn good game and it was on double xp weekend. Nevertheless it was a very impressive score for me. Managed to rack up many killing sprees even after I thought my luck's gonna run out. Either that, or I am just improving. Of course, a major part boils down to the fact that you get better equipment as you level up. 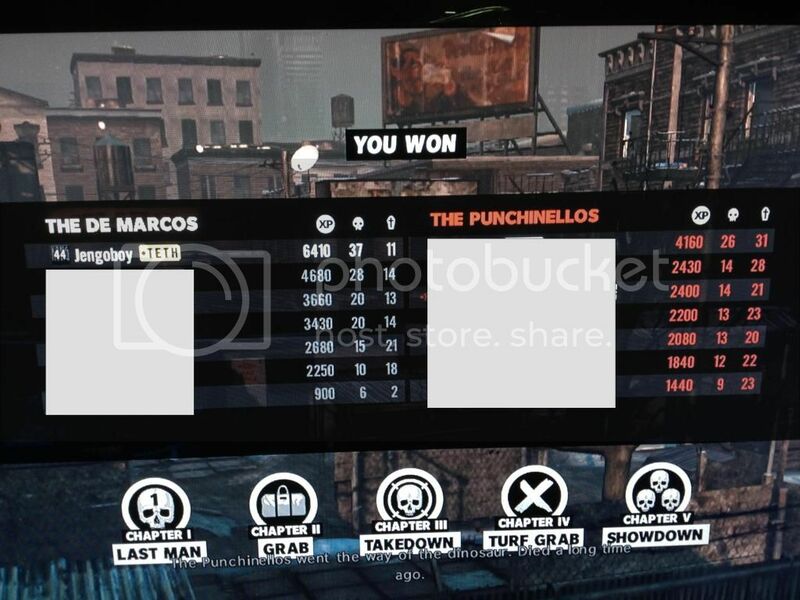 Compared to when I first started playing Max Payne 3 online, I have become a better player. More often that not, I tend to be in the top 3 at the end of each match. Which is great! I used to be one of the bottom few players early on and leveling up was a chore. But as I got more familiar with the style and the various items that can be used to assist you, I became better. Did you know? I didn't even know how to use bursts until level 30+. Embarrassing I know. But once I'm familiar with all the components in a multiplayer game, I produce results like the one shown above. Reader Alert: This is a totally useless and redundant post. The author probably has nothing better to do in life and experiences immense pleasure from showing off stuff that no one cares about.